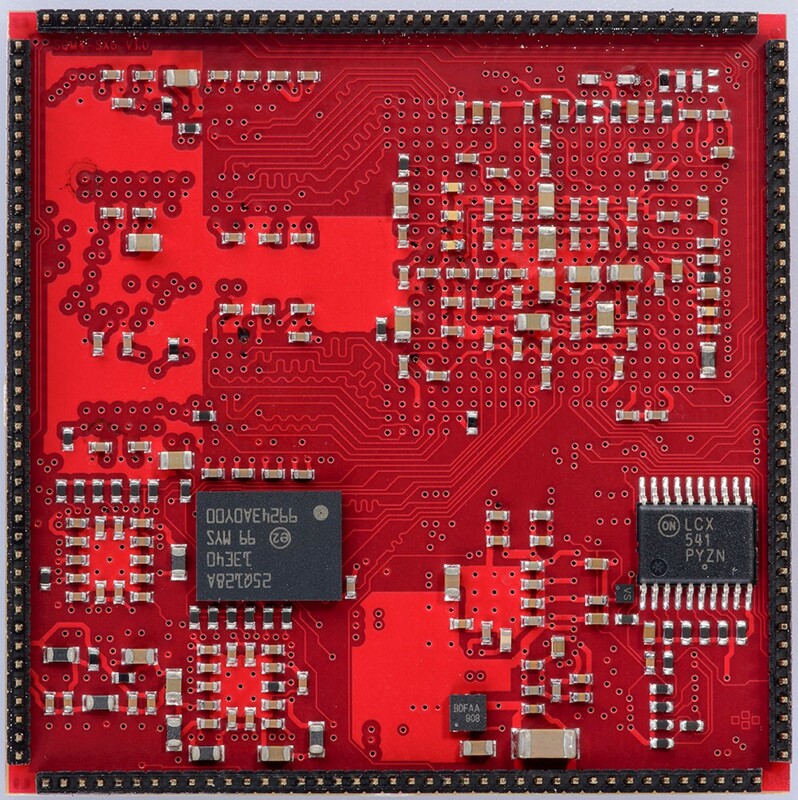 SQM®4 system-on-module with full-featured automotive dual-core microprocessor NXP i.MX 6SoloX. 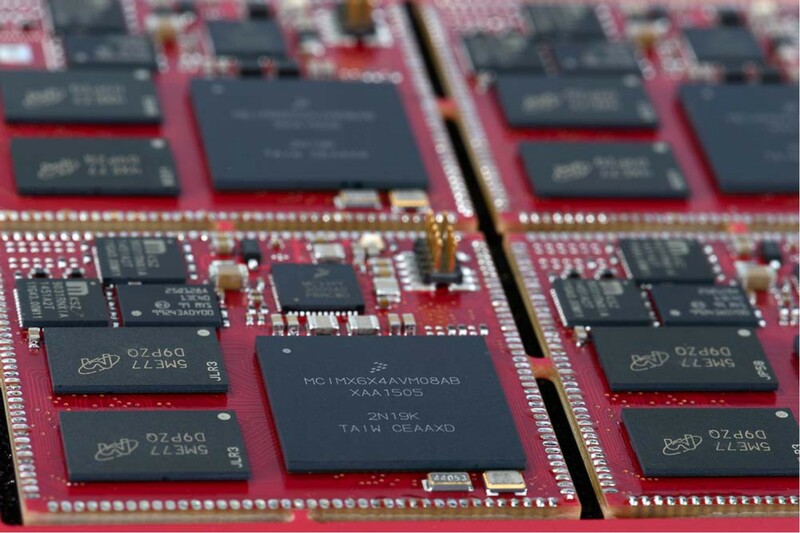 This heterogeneous multicore processor, utilizing ARM® Cortex®-A9 (800 MHz) and ARM Cortex-M4 (200 MHz) cores, is designed for concurrent execution of multiple software environments, e.g. Linux or Android in parallel with FreeRTOS, MQX or baremetal firmware, hence enabling for secure and reliable real-time applications with rich human-machine interface and networking. 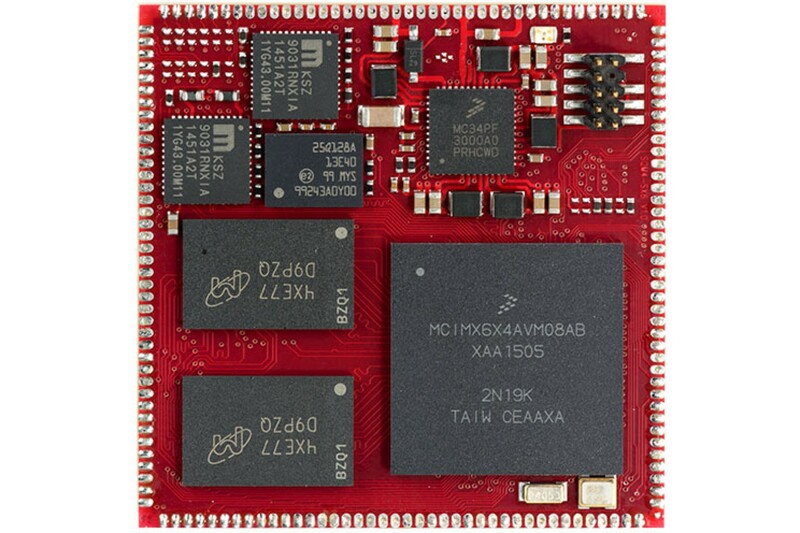 With 1 GB DDR3 SDRAM memory, 256 MB NAND FLASH, optional 32 MB QSPI NOR FLASH, Single/Dual Gigabit Ethernet PHY, 2x USB PHY, optional high-precision RTC and a wide range of other peripherals, interfaced via RIM®, the module is ready to simplify, cheapen and speed up your development. SQM4-SX6-v10 Datasheet Datasheet of SQM4-SX6 module 2015-10-09 20:59:50 To download this file you must be logged! 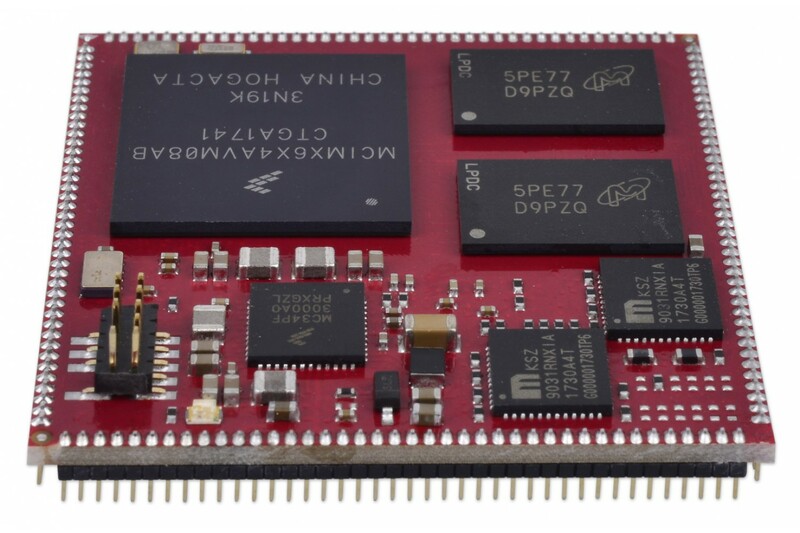 SQM4-SX6v10-SCH Schematic of SQM4-SX6 module 2015-10-09 21:03:30 To download this file you must buy this product! iMX6SXpinmux Pinmux for SQM4-SX6 modules 2016-03-11 14:46:19 To download this file you must buy this product!